Buying Riot Points for League of Legends is about to get costly for players in the U.K. A 20 percent increase in prices for the in-game currency will be effective starting later this month, and Riot Games is pointing to “Brexit” as the cause of the change. It currently costs five British pounds to get 975 Riot Points, the cheapest option available to League of Legends players. In the U.S., players can purchase prepaid cards for Riot Points, or RP; $10 gets you 1,380 points. The currency is used to purchase skins , characters and other customization options. U.S. players pay almost twice as much as those in the U.K. for less than two times the amount of points. (Five British pounds is equal to about $6.50.) While the differences at higher tiers are even closer — those in the U.K. can get 7,450 RP for 35 pounds, or about $45, while $50 in the U.S. only gets you 7,200 RP, for example — it’s clear that Brits are currently getting a discount. When the new prices are implemented on July 25, players will get just 790 RP for their five pounds. That same 35-pound expense will award just 5,950 RP, as opposed to the 7,450 as before. It’s true that exchange rates are constantly changing, but the fact Riot Games blames Brexit for the new pricing is notable. The United Kingdom’s 2016 referendum to leave the European Union was met with disappointment from many locally based game studios and designers, with concerns about increased local costs and strained relationships with unionized states at the forefront. In the year since, some British game companies have said they’ve seen a negative impact on attracting investors as a result of the referendum. Yet developers of globally played games are known to bump up currency costs as needed. Blizzard Entertainment faced backlash from Hearthstone players when it tweaked the pricing for in-game purchases in the digital card game. 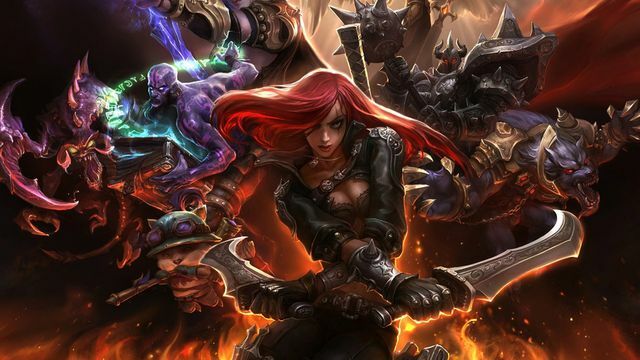 As the publisher of the world’s biggest multiplayer game, Riot Games may be setting a precedent, however. It remains to be seen if other companies will follow suit in adjusting their in-game content’s prices to reflect the economic changes brought on by Brexit.